The Morton Arboretum wants everyone to celebrate nature on Arbor Day, hosting a pop-up Arbor Day event Friday morning in Millennium Park. 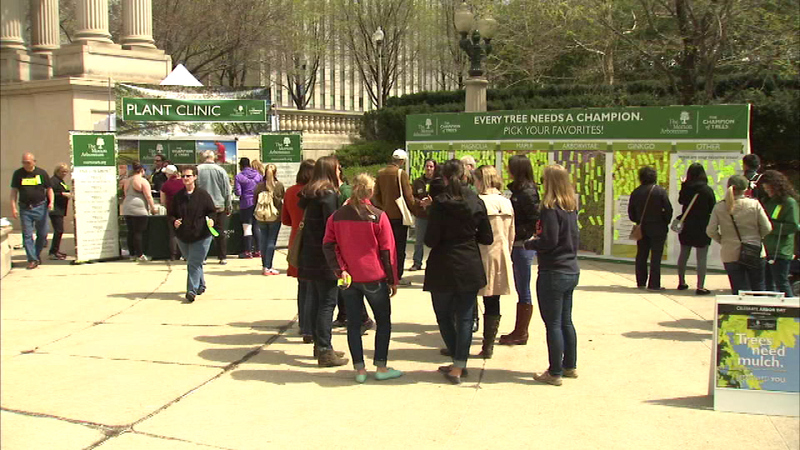 CHICAGO (WLS) -- The Morton Arboretum wants everyone to celebrate nature on Arbor Day, hosting a pop-up event Friday morning in Millennium Park. People were asked to vote for their favorite type of trees on a huge display board. Volunteers were also on hand to offer tree planting and care tips. More than 150 species of trees help make the Chicago area beautiful.